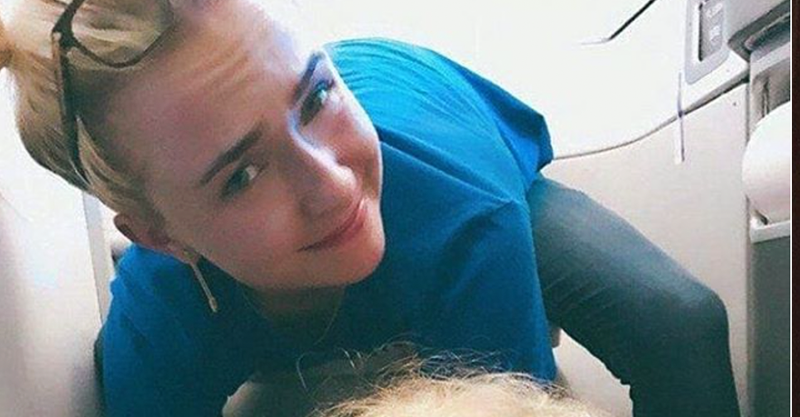 Not only does Nashville’s Hayden Panettiere have the perfectly normal kind of toddler who will pee pretty much anywhere, anytime, she’s also raised a super-helpful kiddo who’s more than happy to tidy mishaps up! Hayden posted a relatable update to Twitter earlier in the week, capturing herself and 2-year-old daughter Kaya getting down to business after the toddler had done what toddlers often do. The pair are pictured mopping up the airplane bathroom floor – with a world-beating amount of napkins, some golden curls and a teeth-clenched kind of smile. It’s a candid moment anyone who’s had dealings with a toddler can relate to. “Aaaand then ur daughter pees on the floor of the airplane bathroom. But look at that baby girl helping momma clean,” Hayden wrote, choosing to look on the bright side, post-pee-mop. We are definitely feeling the relatable, pee-soaked feels. Some cynical commenters were less inclined to nod in solidarity and more inclined to call “set up” on the cute shot. The nay-sayers wondered just how she got this photo of her and Kaya in the bathroom, as it’s usually a pretty private environment. Mum-of-one Hayden was quick to explain that she’d had to call the flight attendant for more napkins to help tidy up the spill. The attendant then captured the image at her request. “I had to open the bathroom door to say sorry and ask for napkins so she she took it from outside the bathroom,” Hayden responded, obviously trying not to roll her eyes through the screen. This all smacks of mum life familiarity in a variety of ways. Not only are you thousands of feet in the air, trying to avoid your kiddo having a meltdown, they accidentally pee everywhere and you have to clean it up with a smile on your face whilst facing the judgement of others. Tension, check! Bodily fluids, check! Smiling through anxiety, check! Judgey bystanders, check! Ugh. We feel your famous person pain, Hayden! She got engaged to Ukranian boxer Wladimir Klitschkoand in 2013. The pair met in 2009 and Kaya is their first child together. The actor has previously spoken of the challenges of raising a toddler. She’s obviously doing a stellar job at the keeping alive thing!